Maranello, 8 April – The Formula 1 World Championship stays in Asia for Round 3, moving on to China. “It’s a very different circuit to the one in Malaysia, both in terms of its technical characteristics and when it comes to the weather,” says Esteban Gutierrez, Scuderia Ferrari’s third driver. “Shanghai has many fast corners, such as turn 1, that leads on to the long finish straight. This, along with the fact that usually, it’s quite cool in Shanghai, means the tyres are made to work in a very different way when compared to Sepang. In fact, in Malaysia, we benefited from the fact our tyres had very low degradation in the high temperatures. However, in China, the track surface will be much cooler and there are some very heavy braking points: at the end of the long straight, you actually have to decelerate from 330 km/h down to 60 in around 120 metres. Kimi! Where is your brain??? Have the baby Robin been keeping him up at nights? The win in Malaysia is a very good result for the team and for Sebastian. “We knew from testing we have a good package but the two first races for me have been pretty difficult , although I could take some good points in Malaysia. We keep pushing as hard as we can trying to do things right knowing that every race can be different, but generally I think we can be quite strong everywhere. In general we know we have the speed but we have to get rid of all the issues even if they are not our fault like the puncture”. Things were very, very interesting in FP. Mercedes and Ferrari looks closer then at Malaysia, it does seem like there could be a good fight. Kimi was once again doing an excellent job today. Good one lap pace and long run pace. Mercedes and Ferrari might actually have similar pace, but it seems like Mercedes's tyres are degrading quicker. This should once again be a very interesting race. Riccardo also showed decent pace, so perhaps Red are improving. Kimi did a great run on the medium tyres. I can only hope that things does not go wrong for Kimi again in some way. I mean seriously he cant have terrible luck every, single, race, at some point he must have a normal weekend. I hope it can perhaps happen here, but if something goes wrong again, I properly wouldn't be surprised either. "Sigh" the life of a Kimi fan! Boudica, I missed both practices. I'm glad it's looking good, didn't expected because of the different conditions on this track. 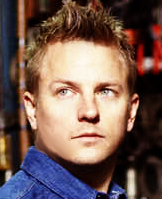 I hope all the good vibes from Kimi's dye hard Chinese fans will help him have a lucky weekend for a change.